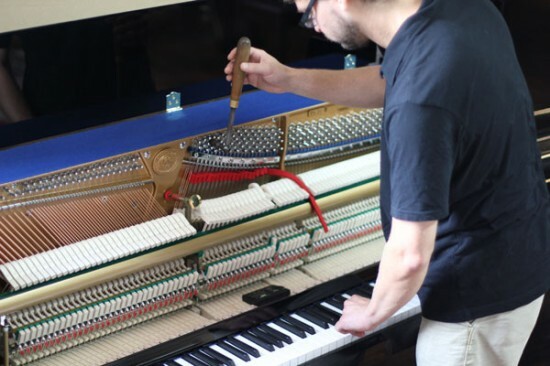 Tuning is the most basic part of regular piano maintenance. 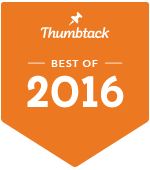 Most piano manufacturers will suggest that you have your piano professionally tuned at least two times a year (every six months). This insures not only that your piano stays in tune as the seasons, temperatures and humidity change but also that no undue stress is placed on the sound board, case and other tension dependent portions of your piano. Notes on your piano are made up of three strings each in the treble section and typically two strings in high bass and one in low bass sections. The process of tuning involves muting all but one of the strings in a note and tuning that note to pitch. After that string has the proper tension, the mute is placed to where two strings are free and the second is tuned to the tension of the first and finally the third string is un muted and tuned to the other two. This process is repeated across all 88 notes until the entire piano is tuned to A440. The question I am most often asked is “Do you use a machine to tune?”. 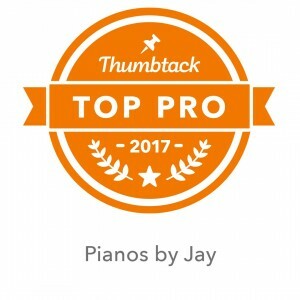 I am a 100% aural tuner – that is I bring one tuning fork and a tuning hammer and use my brain to give your piano that best tuning it has had since it left the factory! I do not use a machine to tune pianos – I figure you didn’t hire a machine to tune your piano, you hired a human to decide what sounds good to human ears. Clearing up the gray area! Standard Tuning – generally means your tech feels your piano is not so badly out of tune that just one tuning will be sufficient to get the piano up to where it needs to be and stay that way for a while. Pitch Raise – your tech may tell you that your piano is so badly out of tune that it is going to need one quick pass of tuning to bring it up to or near correct pitch and then another full pass to combat the amazing amount of new tension put on your piano. In some cases (pianos that haven’t been tuned in years) a third tuning may be necessary. Regulation – As years go on and your piano gets played, more and more things in the action begin to wear such as various felts and leather and glue found throughout your piano. As this happens compression, compacting, and friction occurs and very precise measurements fall out of spec. Therefore by regulating a technician can bring back all the glory your wonderful piano – making it feel great to play. The Action – this means literally where the movement actually occurs. The action includes (and starts) at the keys you play and includes the chain of events that result from depressing the key to the corresponding hammer striking the string. Sound board – this is the wood found on the belly of a piano that the strings are stretched across and produce amplification. The sound board acts the same as the body of an acoustic guitar. Pins and Pin block – The strings that the hammers hit (when you depress a key) are wrapped around thick metal “pins” that are held down into a very dense block of wood called the “Pin Block”. The other end of the string is held down on opposite side (or tail end) of the piano called the “Hitch Pin”. Plate – This is a very heavy cast iron “plate” that sits on top of the sound board that the strings are strung across. The solid cast iron provides the strength needed to combat the 20 tons of string tension found on most grand pianos. Without a plate – your piano would implode!